Audrey Niffenegger’s second book, Her Fearful Symmetry, is a rather eccentric ghost story. 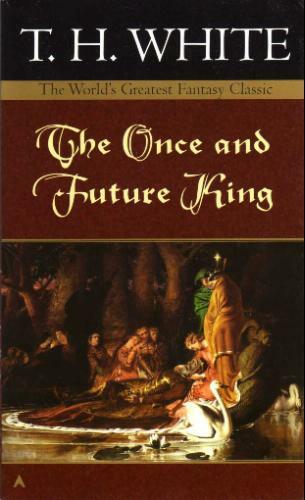 It is not scary in the usual sense, but more chilling in its implications and ramifications for the characters. It is basically the story of two sets of twins. When Elspeth dies, she leaves her British flat to her twin sister’s adult twins, Julia and Valentina. These two are inseparable; though they are twenty, they dress the same and do everything together. The two girls must move from Chicago to England and live in Elspeth’s apartment for 1 year before selling it. Their upstairs neighbor is Martin, a crossword puzzle author so crippled by OCD that his wife leaves the country. Below the twins is Robert, who is writing his thesis on the cemetery just outside their windows. Robert was Elspeth’s lover, and is grieving her death. And in the flat itself is the ghost of Elspeth, trying desperately to learn how she can interact with the living world around her. The five of their lives begin to intertwine, with disastrous consequences, when Valentina realizes she no longer wants to follow everything Julia does and live the life Julia wishes. And this begs the question: Why do so many ghost stories involve twins? I really liked this book, until the end. Then Niffenegger throws in this curve-ball, trying to get a good GASP out of people, but in truth it doesn’t really make any sense at all. I’m sure you have an idea of how the story ends, Ms. Author, but you need to tell the readers. We are not psychic…well, at least I’m not. The first half of the novel is truly beautiful and haunting, however. I thought the initial few chapters were incredibly powerful. I loved the array of characters, the bizarre twins (both sets), the obsessive-compulsive husband who loves his wife but can’t control his mind, the wonderful people who worked and loved the Victorian cemetery. Reading about the cemetery and the Victorian people who built it was probably my favorite part. I loved hearing about the mausoleums, and the coffins built with bells because the Victorians so feared being buried alive. And all the intricacies and ceremony that they brought to death and burial, fascinating! I just wish the last half didn’t feel so forced. And I wished I knew for sure what I think happened at the end really did. 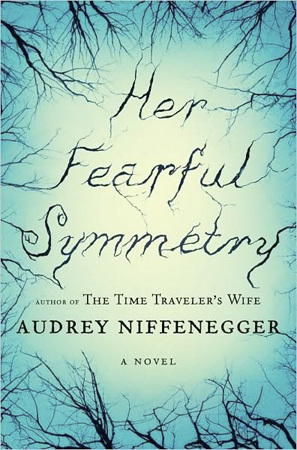 This entry was posted in Best Sellers, Book Reviews, General Fiction and tagged Audrey Niffenegger, Her Fearful Symmetry, The Time Traveler's Wife. Bookmark the permalink. Sounds great. I really liked The Time Traveler’s Wife so I might give this one a try late in the summer… it sounds good light reading.